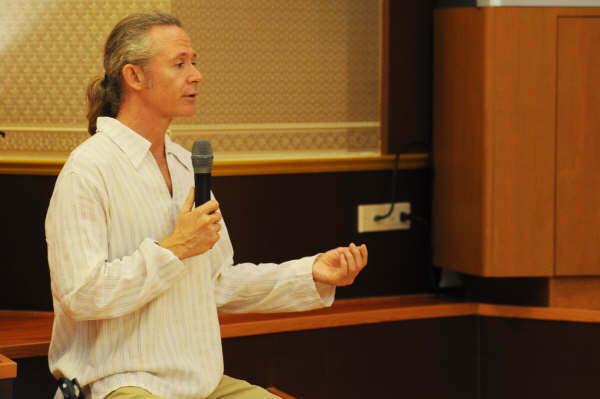 In late 2008 meditation teacher Jeff Oliver led a one day workshop for the Little Bangkok Sangha at the Piya Dhamma Centre in Bangkok. Nearly40 participants – both regular faces and new spent the day in the well equipped centre, with lunch kindly offered for everyone by Khun Pradit. Too many pictures to load each one individually, so we’ll let WordPress handle the process. Click on the first thumbnail, and you will see how to flick through – there are some really beautiful shots in this set of pictures.